Find your sense of community: Whether it’s family, friends, coworkers, mentors or mentees, this will be your foundation for success and will provide the drive you need even on a tough day. I had the pleasure of interviewing Pedro Abreu, senior vice president and chief strategy officer at ForeScout. With more than 20 years of industry-leading operational and management experience, Pedro is focused on advancing corporate strategy that bridges product development, sales and marketing. 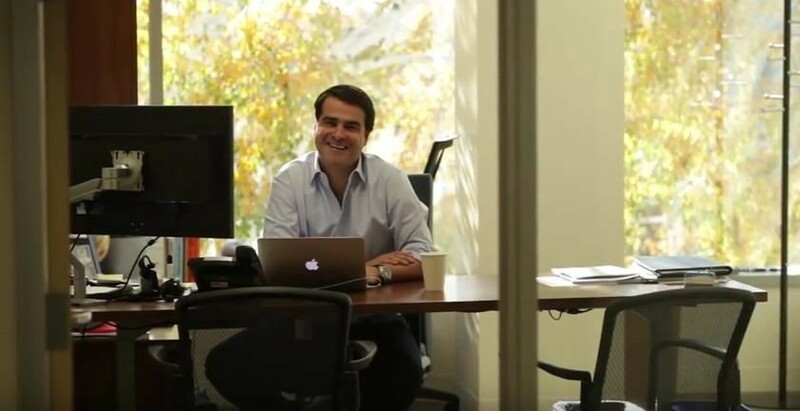 Prior to joining ForeScout, Pedro held several senior-level strategy and operations roles with Intel Security, EMC and McKinsey. I grew up in Madeira, Portugal, a sub-tropical island off the coast of Africa known for its wine and the beautiful mountains that jut out from the surrounding sea. My childhood was idyllic. I spent my summer days swimming and spearfishing in the sea, and during the school year I was always told that my job was school. I got my first computer at age 12, a ZX Spectrum 48k, and fell in love with technology. I am from a humble, working-class family. My parents valued hard work, honesty, respect, being trustworthy and a contributing member of the community. They believed it was important to have a strong education, and sacrificed a lot of potential luxuries so that my brother and I could enroll in English classes at an early age and get a college degree — something that was not possible for them. Beyond education, the values my parents instilled in me have permeated my personal and professional life ever since. To this day, while they are proud of my career success, very quickly their questions go back to those core values of family, self-respect and respect for others. Was there a particular trigger point that made you emigrate to the U.S? Can you tell me the story? A few years after graduating with a degree in computer science from the Instituto Superior Técnico in Lisbon, Portugal, I was living and working in Poland. This was several years after the Berlin Wall had come down and Poland was a country that was thriving as they embraced the West and freed themselves from the clutches of the former Soviet Union. While I was there, President Bill Clinton went to Warsaw to invite Poland to join NATO. For the Polish people, it meant they would never go back to the Soviet era; that the entire power of the NATO countries would defend their freedom. I was on the Royal Plaza where Bill Clinton made his speech to thousands of polish people. For many, the statement that the U.S. is a beacon of freedom (or liberty) is a cliché. But, for those thousands of people, it was REAL! That moment changed my entire perception of the United States and led me to move to the U.S. 15 years later at a corporate event, I had a chance to meet President Bill Clinton. In my brief 30 seconds with him, I had the opportunity to close the circle and thank him for that day. To this day, I have a picture of that handshake in my office. I have never gone down the common path and believe this has continued to shape my career journey for the better. I came to the U.S. for my MBA at the Haas School of Business at U.C. Berkeley. It was the golden years of the dot com bubble while I was there. Startups were flourishing everywhere. Fellow students were becoming instant paper millionaires based on the stock options they got from summer internships with startups, but very quickly those were worth nothing as companies went belly-up in the late 90s. This exhilarating experience, combined with the personal reason of meeting my wonderful wife, who was a classmate and landed a job in Silicon Valley, made it easy to decide that this was where I wanted to live. I graduated early 2000, at the hype of the B2B startups. Everyone was joining a startup and getting ready to change the world. One friend told me that “being in Silicon Valley in 2000 and not joining a startup is like having lived the 60s in San Francisco and not smoking dope.” Still, I decided to embark the less common path and joined McKinsey, a management consulting firm. I knew that I had come to the U.S. to learn business, and while an MBA from Berkeley is an amazing foundation, I still had a lot to learn. That year I was the only MBA student that McKinsey hired in the Business Technology Office in Silicon Valley. Shyam Lal, the office director at the McKinsey office in Silicon Valley. After using a student visa for school, I had to get a work visa and it was limited to one year. The plan was that afterwards, I would go back to Europe with McKinsey. Halfway through, I decided I wanted to stay in the U.S. and asked him to support my permanent move. This seems like a straightforward decision, but at that point (early 2001), the economy had taken a nose dive. Companies were failing all over Silicon Valley and retreating across the U.S., and McKinsey had one-third of their consultants on the bench without work. I remember the day I sheepishly walked into Shyam’s office and made my case, knowing that the right corporate decision for McKinsey was to stick with the plan and go home at the end of my one-year contract. I was blown away when Shyam didn’t even hesitate and told me that they would — of course — have me stay. McKinsey (and Shyam) believed in standing by their people and they stood by me despite the negative financial consequences. It is amazing when a corporation (and people like Shyam) truly live by their values and those values align with your own. I spent four years at McKinsey, but I am a committed McKinsey alumnus for life. Very good. I found an industry I love — cybersecurity — an amazing community and place to raise my family and pass down the values I cherish. I have a wife and two amazing children, a daughter and son, and I see the future of innovation in them. I am constantly reminded about how lucky we are to have the diverse educational opportunities that we have here in the Silicon Valley. 15 years after graduating with a MBA and accepting my position at McKinsey, I finally decided I was ready to join a startup and had the fortunate opportunity to join ForeScout Technologies, a leading internet of things (IoT) security company. In October 2017, I had the privilege to help lead the company to an IPO. Just a few years after graduating college, I found myself living experiences that I did not even know were available to me. I knew I had worked for them, but other people had too. However, I noticed many others’ particular situation or environment did not allow them to achieve the same opportunities. I realized then that I owed this to those who made it possible for me to reach my full potential — my parent, teachers and mentors. I decided then that it is my responsibility to do the same for others. I try to do this in a corporate world by focusing on empowering, instead of micromanaging or dictating. Furthermore, in our private lives, my wife and I focus on creating opportunities for young people to advance and improve their education. You have first-hand experience with the U.S. immigration system. If you had the power, which three things would you change to improve the system? Portuguese people have always been known for being adventurers and exploring the world — all the way back to the 1500s when Portugal “discovered” half the world. Some of it is because of a sense of adventure, but many times driven by economic necessity. My parents’ generation was marked by a big exodus of people due to lack of opportunity. I was fortunate that I decided to immigrate to the U.S. because I wanted to, not because I needed to. Given that reality, my experiences with the U.S. immigration system have always been positive — thorough but positive. However, as a professional I’ve seen young, talented foreign students have to leave the country, despite being tremendously talented and possessing skills we lack. If I had three things to change, I would focus them in this area of the immigration system. Don’t be afraid of taking the path less travelled: I went to Poland when the popular thing was to go to London, Paris, etc. ; I went to consulting when everyone went to startups. Hard work pays off: If you are good at what you do and work hard, you will find your way. Educate yourself: Education is valuable; listen and learn but know when to speak up, when to lead and when to follow. We know that the U.S. needs improvement. But are there 3 things that make you optimistic about the U.S.’s future? I am from a generation of internet adopters. My kids’ generation is native to the internet. My daughter learned to program websites at age 12 and my son was comfortable working with a 3D printer at age 11. I am excited to see what they will do in the future. Some of the biggest names in Business, VC funding, Sports, and Entertainment read this column. Is there a person in the world, or in the U.S. whom you would love to have a private breakfast or lunch with, and why? Elon Musk, a visionary that delivers. Very few can see the future and actually deliver on it. He tends to be optimistic when it comes to timelines, but he delivers. Michael Lewis, the author of many books like “The Blind Side,” “Money Ball” and “The Big Fail.” I’ve enjoyed many of his books, but what fascinates me about him is how he gets to learn the story of an unassuming individual and tells it to the rest of us in the most compelling way. Also, Bono. I am a big fan of U2, but aside from Bono being a total rockstar, he is an extraordinary humanitarian and I respect what he has done with his success. Tech Entrepreneur and Contributor on several publications, Amine is best known as the CEO of IronMonk Solutions, a New York based digital marketing agency.